I’m writing off to Nashville for MOAR STUDIO CHUNKY! Is there a requisition form I have to put in or something? Because one Slip-Stitch Cap is not going to do it for me. I was warned, but still I was not prepared for the around-and-around addictiveness of this slip-stitch pattern, which has the same delightful rhythm and instant memorizability as my beloved Ballband Dishcloth. Slip, knit knit knit. Slip, purl purl purl. Who doesn’t love that? My sewing circle sister, Rosanne Cash (I know! I’m so lucky! She’s the best! ), has a new album coming out TOMORROW. NPR Music is streaming the entire album on First Listen, so on Saturday morning, I settled in for a good, long First Wallow. The album is called She Remembers Everything. And much of what She remembers, I remember. I feel like Rosanne is speaking the experience of women generally, and more specifically women our age. She gets it: long partnership, little children, grown children, looming mortality, outliving people we don’t know how to live without, what passes away, what remains, what we may leave behind when it’s our turn. Wonderful musicians and singers pitch in on this record; it rocks, it swings, it hearkens to the deep past and is of this moment, now. It’s just the best. I am 100% biased by friendship and admiration. I am also 100% correct. Go listen. I thought I would see how many listens of She Remembers Everything would add up to a Slip-Stitch Cap. The answer: 3 listens, plus a little late-night Vera-watching to work the crown decreases. Behold the beauty of the WS of a slip-stitch pattern. 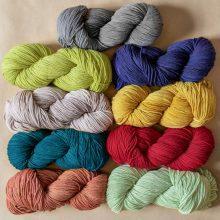 As I knitted and listened, I realized: these are exactly the colors Rosanne would choose. A redhead/fuschiahead/maroonhead, she gravitates toward deep greens, and loves a deep cast of indigo. She also has an excellent hat head, and wears hats. So I think I’ve hit on my Sewing Circle Holiday Present for 2018. Send moar yarrrrn! I’m taking the Bunchalong quite literally. What’s next? 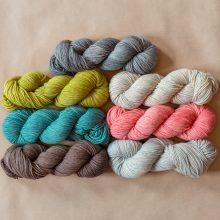 Mitts or cowl, cowl or mitts? For a whole month, I’ve been following Slow Fashion October, a fascinating project from the amazing Karen Templer. (If you’re curious, Dear Reader, dial up the hashtag #slowfashionoctober on Instagram, and dig into the excellent Fringe Association blog posts on the subject.) There are a lot of nuances and layers to the topic. I’ve never jumped in and participated in the hashtag myself, but it’s educated me beyond measure. Cristina Shiffman, MDK’s social media maven, recently sent us a link to this article from an online magazine by Toast, the UK clothing retailer. It’s a portrait of Kat Bazeley, an English veterinarian. 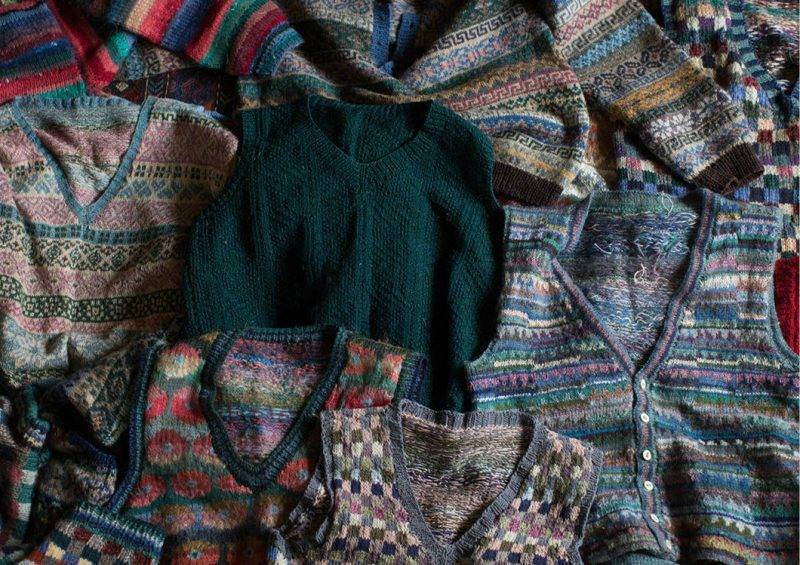 While reading about the Toast pieces in Kat’s wardrobe that have stood the test of time, we learn that she is a knitter of many years, and has a glorious collection of handknit colorwork vests and sweaters, including pieces that are recognizably by Kaffe Fassett. Kat Bazeley’s sweaters. Photo by Elena Heatherwick for Toast. how many patterns can you name? Kat Bazeley is my new icon of Slow Fashion. I love to think of those gorgeous knits going into the field with Kat to gather data on heifer weight, or to groom a horse. I love that over time she has altered her favorite Toast trousers to make them last longer or fit better. No muss, no fuss, just undeniable style. The photographs are incredible. Color me inspired. I look forward to a year of slow fashion, aka knitting, buying, wearing and taking care of well-made clothes, all with more mindfulness. Join our happy band of Bunchalongers! Before you know it, you'll have a pile of presents for holiday joy-giving. Certainly Poppies and Toothed Stripe. Amazing article. I’d like to see the clothing produced by her brand, Bluebarn. I don’t usually bunchalong (can it be a verb?) 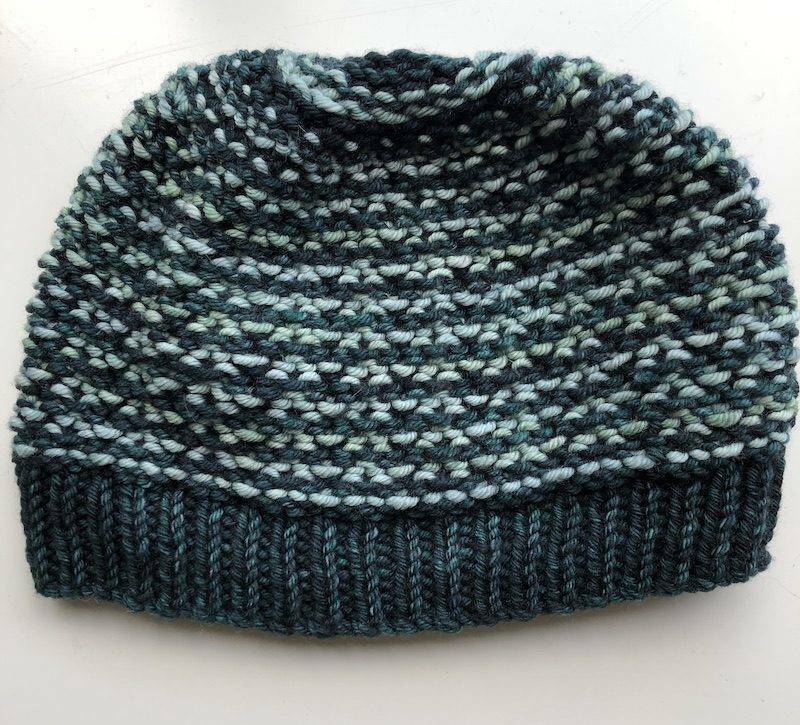 but I just finished my first slip stitch cap and it was such a satisfying, addictive knit, that I know that I’ve got more in my future! I’ve got yarn for the mitts, too. And I’m going to see Rosanne Cash in New Jersey on December 1! Life is good. I taught Roseanne’s daughter, Chelsea, in second grade and another daughter, Hannah, was my high school aide one year. I love her music ad I love this hat! That hat is amazing – I can see why you want to make more, more, more! And thank you for introducing me to TOAST and the article about Kat Bazeley. She is my new role model!! Love those fair isles!!! So yeah, we definitely need a picture of Rosanne Cash wearing her hat after you gift it to her! I will do my best but I am the person who did not get a good picture with Kaffe Fassett so…it doesn’t look that promising. Will really try as she is going to rock this hat, it’s totally her. OMG, YES Yes yes! Sorry I just had to shout there at the beginning. Maybe the models are unhappy that they’re little more than the hanger that displays the clothes? Let’s give them the benefit of the doubt. Thanks for the review of Rosanne Cash’s new album. The NYT review made it sound a bit depressing, but your analysis is so much more well rounded! Got to have a listen, and work on the annual gift for the mom in law. She loves hand knit socks! I hope you love it, Phyllis. I don’t find it depressing at all because it rings so true to me. And musically it’s incredible. I wouldn’t necessarily recommend it to a new bride, lol, but I think it’s a great perspective on happiness in long partnership and how that gets renegotiated and refined and it’s all worth it, isn’t it? I think she’s saying yes it’s all worth it, every bit of it. Thanks for directing me to the NYT review. Great album. I haven’t given anyone music in ages, but this will be shared! You are absolutely correct, it’s perspective from someone with a few miles under her belt, and I can relate! I think that the NPR review was more accurate than the NYT one. I agree. Kay’s analysis brought me to tears. It rang so true. 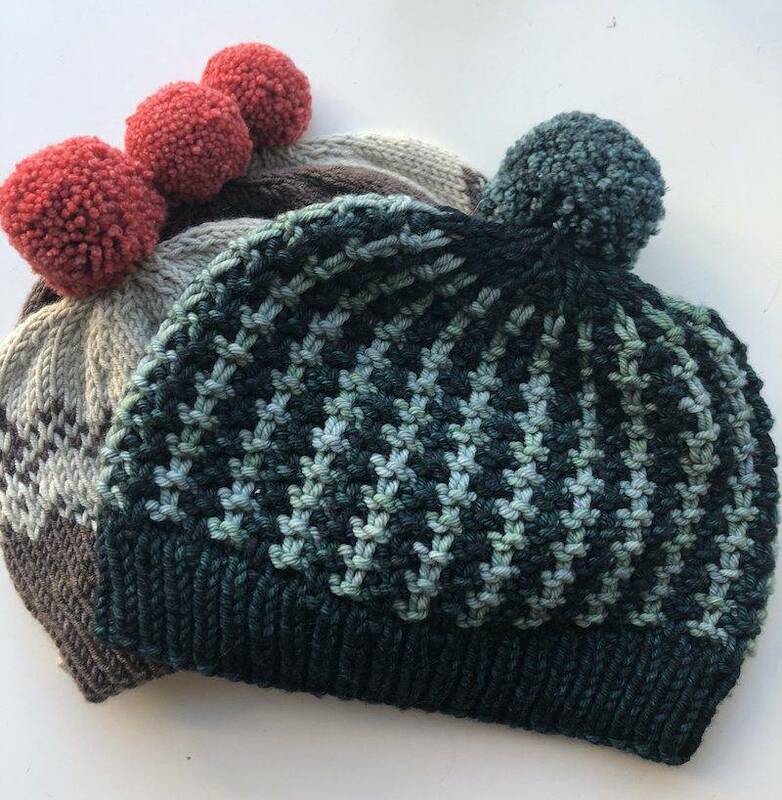 I’ve been thinking about casting on a couple of those hats before Christmas – you’ve convinced me that it is the right thing to do! 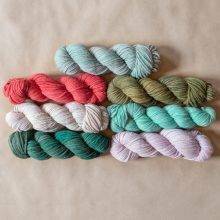 The pattern is written for babies and kids too, so I’d just double up that worsted and go! 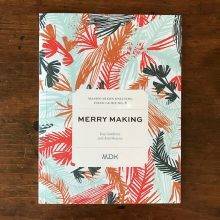 Thank you for linking to that lovely article – the photography is excellent as well – and I wish Kat Bazely was my sewing circle sister. 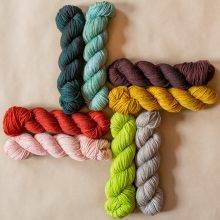 You had me when I opened MDK this morning and saw “slip-stitch cap.” I knew what was coming! Then I opened the Letter and….Rosanne Cash! Double goodness. I recall when Johnny Cash died and Ann wrote a lovely letter. Who knew that years later you would teach his daughter to knit? Thanks for the news about the beautiful new album…listened on NPR, ordered the CD. I too have loved her music for a long time. And the hat! I gotta cast on. What a wonderful interview with Rosanne Cash and a great shout out to Kay! 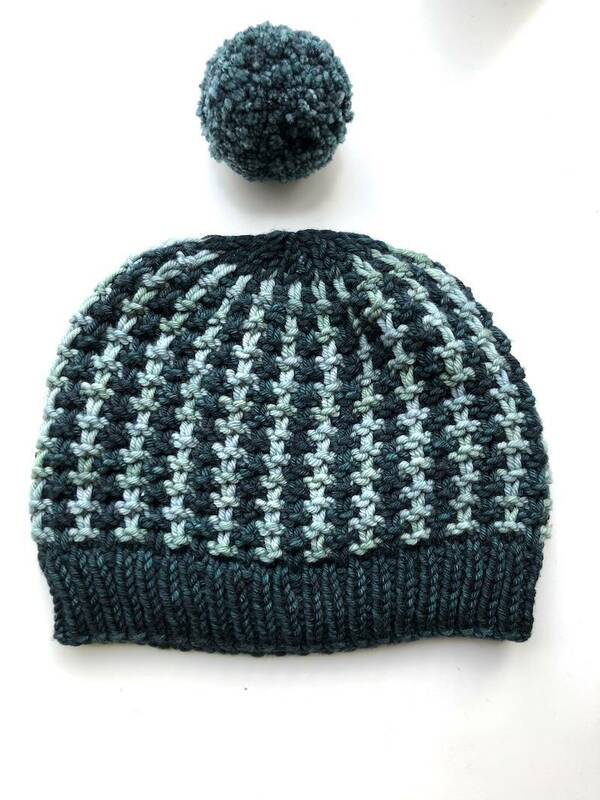 How can I get the Slip Stitch Cap pattern and yarn?